Health administration includes intimate knowledge of legal and policy matters, and both issues are included in health insurance. Even health insurance companies want you to know how intricate these laws and policies might be for consumers, as many companies and brokerages maintain blogs simply for educational purposes. This list of the top 50 health insurance blogs includes links to corporate and brokerage blogs as well as links to consumer-related information and industry blogs. 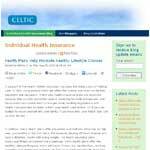 Celtic Individual Health Insurance: Bloggers write about a variety of health insurance topics for this individual health insurance company. Cobra Health Insurance Blog: Get news and Cobra Insurance topics from this blog. Colorado Health Insurance Insider: Insurance Shoppers Inc. is a small, locally owned Colorado health insurance brokerage interested in informing the public about health insurance. Connecticut Long Term Care Outlook: The Haas Agency focuses on aging and long-term care for Connecticut residents. Corporate Wellness Insights: Wellness Corporate Solutions is a leading Maryland-based employee wellness company with up-to-the-minute news of best practices and industry trends. InsureBlog: Use this blog to learn more about insurance issues, principles and solutions. KQ Insurance Services Health Insurance Blog: Kaiser Permanente offers a service with their information blog. Managed Care Matters: Joseph Paduda talks about managed care for group health, workers’ compensation and more on this blog. Protect Your Income: Richard Reich has been assisting health professionals with securing disability policies since 2003. Purina Care Pet Health Insurance Blog: Learn about pet insurance and care from the Purina company. Specialty Insurance Blog: This blog provides periodic information on the insurance business, with a focus on specialty lines insurance and professional liability. Terms + Conditions: Claire Wilkinson, vice president for Global Issues at the Insurance Information Institute, researches and analyzes a wide range of international and domestic property/casualty issues. The Alan Katz Health Care Reform Blog: In 2007, Katz formed the Alan Katz Group and has served as past president of both the National and the California Associations of Health Underwriters. Trupanion: This is another pet insurance blog that offers a different take on pets and health. Workers’ Comp Insider: This is Lynch Ryan’s blog about workers’ compensation, risk management, business insurance, workplace health and safety and other related topics. Workers’ Comp Kit Blog: This is a discussion forum for employers to learn about workers’ compensation cost containment techniques and strategies. About Health Insurance: Michael Bihari, MD, offers information about all types of health insurance. California Health Advocates: This is the leading Medicare advocacy and education organization in California, but anyone can learn from their articles. College Health Insurance Blog: Get tips on college health insurance from this blog. Guaranteed Healthcare: This movement is a project of the California Nurses Association/National Nurses Organizing Committee, and patients and community groups around the country. Have You Planned For… Dexter Damien Chan currently works as an independent financial consultant who writes about financial analysis and insurance plans. Healthcare Economist: If you want to learn about the business side of healthcare, especially insurance, try this blog by Jason, a Ph.D. economist and research associate at Acumen, LLC. Healthy Concerns: Learn more about health care from the patient’s perspective. HR Benefits Alert: This site can educate anyone on human resources policies and health care benefit information. InsuranceNewsNet: This link leads directly to health and life insurance news offered by this Web-based publication. Life and Health Insurance Foundation for Education: This nonprofit organization serves as an educational format for consumers, agents and media. Medicare News Blog: You can find the latest news about the Medicare system at this up-to-date blog. Wellforce: A certified occupational health nurse, wellness practitioner and health coach offers thoughts on preventative health. 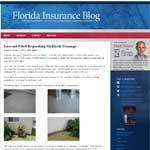 Florida Insurance Blog: Mark A. Nation is a civil trial lawyer who limits his practice to wrongful death, personal injury, and insurance cases. for policyholders. Health Care Law Blog: Bob Coffield is health care lawyer practicing at Flaherty Sensabaugh Bonasso PLLC and blogging from Charleston, West Virginia. Health Care Law Reform: Get insights from Washington DC on health care reform and insurance. Health Policy and Communications Blog: This blog is to foster discussion and analysis about how health policy and communications issues affect clinical and economic outcomes. 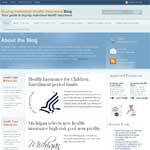 HealthAffairs Blog: Read a variety of outlooks at the intersection of health, health care and policy. HealthLawProf Blog: Professor Katharine Van Tassel talks about policy, law and health issues on this blog. HIPAA, HITECH & HIT: This blog focuses on legal issues, developments and information relating to the creation, use and exchange of electronic health records. Insurance Law Hawaii: Hawaiian clients benefit from the expertise and diverse backgrounds of this Damon Key Leong Kupchak Hastert blog. Life, Health and Disability Insurance Blog: Barger & Wolen’s Life, Health and Disability Insurance Blog covers both ERISA and non-ERISA issues with a special emphasis on California law and the Ninth Circuit Court of Appeals. Retirement Reform Blog: The National Center for Policy Analysis (NCPA) offers information about future retirement issues, including insurance, Social Security and health. Buying Individual Health Insurance Blog: Mark Anderson is an expert in buying individual health insurance and small business health insurance plans. California Health Insurance Blog: David Fluker supplies this blog’s contents and health insurance services to California residents since 1995. Compass Benefits Group Blog: If your focus is on international travel insurance and medical tourism, visit this blog for more information. Get Smart Get Covered: eHealthInsurance offers this new blog about various health insurance products and requirements. GoHealth Insurance: This site takes a direct approach to health and wellness by providing an online resource for comparing health insurance options online. Health Insurance Sort: This site allows users to compare health insurance quotes while providing updated health plan news. HealthPlanOne: This Web-based brokerage focuses on marketing individual and family health insurance. They market Medicare Advantage products in select markets. INSWEB Insurance Blog: News, advice and information for health insurance and other policies. International Student Insurance: This International Student Insurance (ISI) blog focuses on travel medical, major medical and information about school requirements. 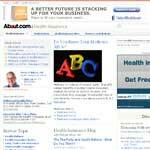 Lehrman Group Blog: This Arizona health insurance brokerage offers information for Arizona residents. My Insurance Expert Blog: This blog is more about health issues than about health insurance, but you still get rates at the site. Vitality Health Insurance Blog: This blog covers the California health insurance field, including insurance Medicare Supplemental plans.